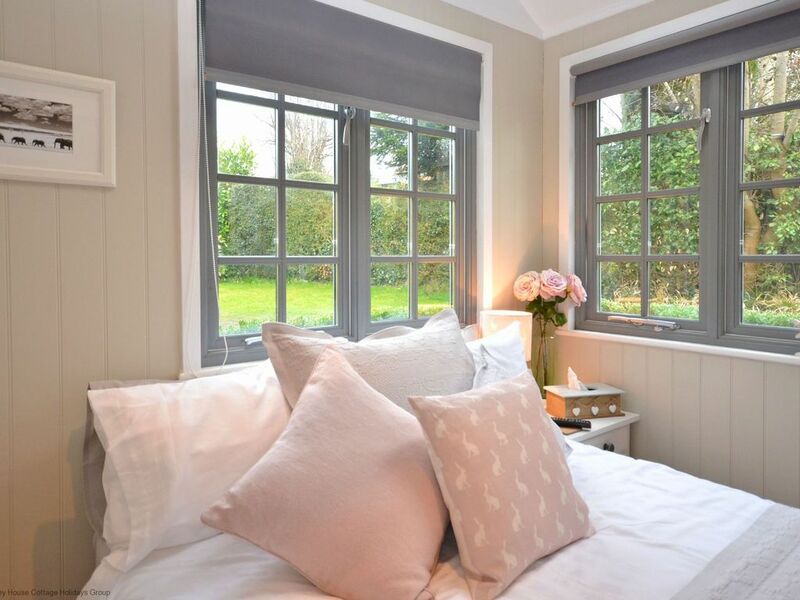 Lovely studio lodge in the heart of Lindfield; perfect for a short break to explore the wonderful countryside and attractions in the area. Located just off the high street with shops, restaurants and pubs just a stroll away. The lodge consists of a comfortable double bed, wardrobe and small dining area. There is entertainment available with Freeview television and WIFI. The kitchen area has a microwave oven, full fridge and tea/coffee making facilities. As Truffle Lodge is so wonderfully central, we feel most guests will choose to dine locally in the town. The bathroom has a shower, WC and basin. The shared garden area is available during the summer months and a BBQ can be provided on request. There is an allocated parking space available. Lindfield is one of the prettiest villages in Sussex and has won the Best Kept Village in Sussex so often that it was persuaded to withdraw at one point just to give everyone else a chance! Being so central in the county it is an ideal location to enjoy everything on offer in Sussex including Borde Hill, which has been described as 'One of the country's truly great gardens' by Country Life Magazine. Also Close by is Wakehurst which is is one of the National Trust's most visited places as it is the country home for the Royal Botanic Gardens Kew. Also within a short distance is Ardingly Resevoir, Sheffield Park and the Bluebell Line which has developed into one of the largest tourist attractions in Sussex. You can travel from the Victorian era at Sheffield Park, to the 1930's at Horsted Keynes and to the 1950's at Kingscote. With good communication links to Brighton, both the south coast and the South Downs are a short distance away while a day trip to London by rail is so easy from nearby Haywards Heath. Small bathroom with shower cubicle, WC and small handbasin. Close to the high street of the town with good public transport links.